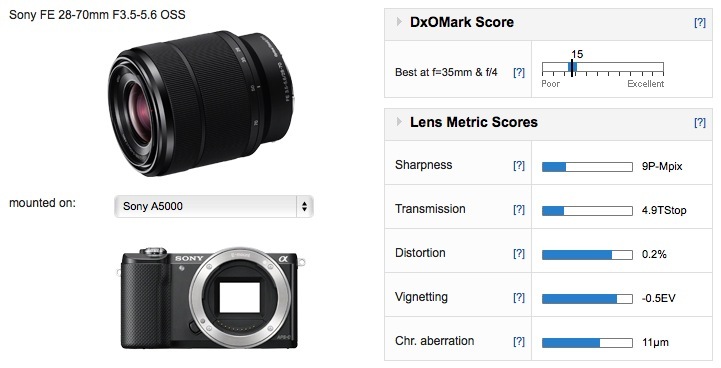 With a DxOMark lens score of 17 points and a convincing lead over the model in second place the best-performing lens on the Sony A5000 is the Sony FE 70-200mm f4 G OSS. Telephoto zooms are, arguably, the most useful of their type with standard and ultra-wide models more easily replaced by primes. The 70-200mm f4 is a full-frame model so on a cropped model like the A5000 it has the equivalent field of view as a 100-300mm or thereabouts. 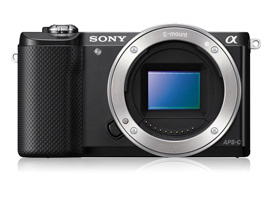 Although it would serve double duty on one the three A7 models, it’s a still an expensive option given the relatively affordable price of the camera. Although not in the same league optically, the earlier Sony E18-200mm f3.5-6.3 could be a worthwhile option, or perhaps better still the stabilized E55-210mm f4.5-6.3 at just $350 would a better fit, particularly if the A5000 was purchased with the E16-50mm f3.5-5.6. 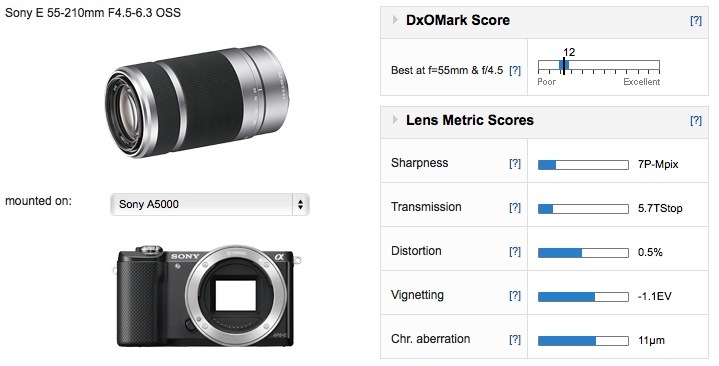 Marginally faster but with better image quality is the Sony FE28-70mm f3.5-5.6 OSS, in second place overall. As the equivalent to a 35-105mm it lacks the reach of those models but it’s a good performer and at $500 it’s a good investment as it can also be used on full-frame models. Although there aren’t too many models to choose from in this category, we’re going to recommend the full-frame FE28-70mm f3.5-5.6 OSS, if only because it’s something of a surprise compared to the Zeiss 24-70mm f4 and if you have the A5000, you’ll likely already have the 16-50mm. This stabilized lens isn’t cheap exactly, but it compares favorably to the Zeiss in performance – it even outperforms the pricier model at the longer end of zoom range at least at the initial aperture (f5.6). By f8, however, the Zeiss is sharp across much of the field, unlike the Sony which remains sharp only in the center. Sharpness at the shorter end is better but it never really extends to the corners of the frame. Distortion and vignetting are at similar levels but the Zeiss has better control of chromatic aberration, particularly at the shorter focal lengths. Still it’s a good performer overall. Although the 18-200mm f3.5-6.3 has a very useful range, this lens is much more affordable and it has the added benefit of stabilization – an essential feature at the longer end of the zoom range where the initial aperture drops to f6.3 (actually T6.9). Wide-open performance at 210mm is similar though this model has slightly softer corners still over the more expensive model.